Tideland Gardens is family-run wholesale nursery on Maryland’s Eastern Shore, serving landscapers, re-wholesalers, and garden centers. With over 200 acres in production, Tideland produces quality B&B trees, container shrubs, perennials, and grasses. Tideland also has its own fleet of trucks which makes the delivery to its customers quick and simple. 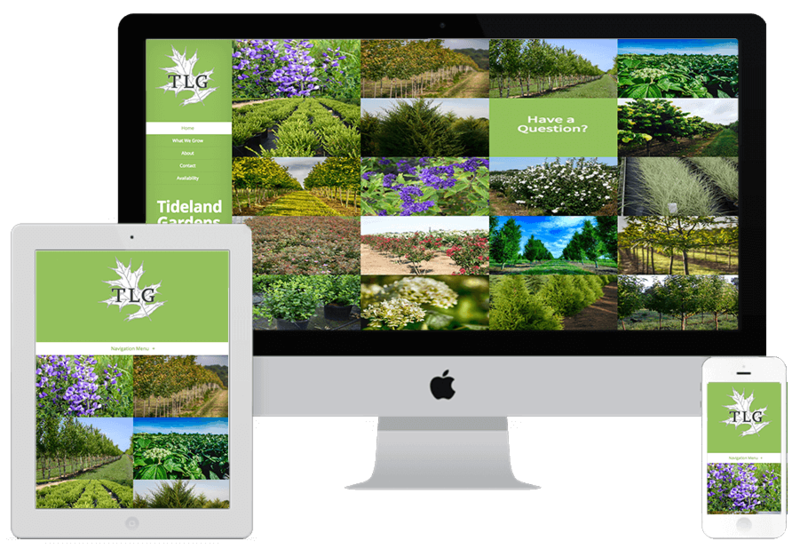 When Tideland Gardens asked us to help them redesign their current website, we knew that their beautiful plants and landscapes needed to be featured prominently. We focused on high-quality photography and based the overall look and feel of the website on how many images we could include on each page (as you can clearly see by visiting the home page). The development of this website was less about the design and more about letting the company product and culture be clearly seen as often as possible. Great web design is less about the “design” and more about the featured company.